Brown faux leather tub chairs constructed around a Rubberwood recycled frame. Large curved back. Crib 5 fire retardant for commercial use. Held in stock and released for a sharp delivery. 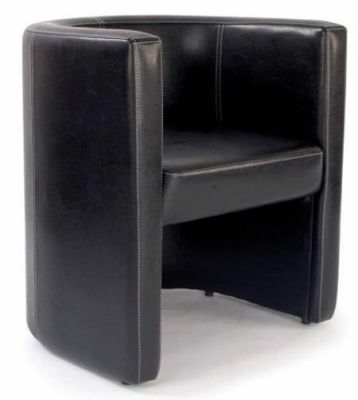 Very high in quality tub chair which is suitable for waiting areas or meeting rooms. The chair is also constructed from rubber wood, a very ecologically frendly timber.